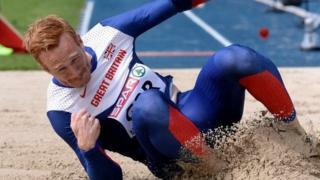 Olympic champion Greg Rutherford admits to having "a really frustrating day" at the European Team Championships in Braunschweig, Germany. In difficult cold conditions Rutherford failed to achieve his aim of clearing eight metres and was forced to settle for second place with a jump of 7.99m. Germany's Christian Reif won with an 8.13m leap.